Are you renovating your home and looking for some fairly-priced quality appliances or furniture? We've got your back. Just grab an Appliances Connection promo code and head over to their website now. What you'll find is a plethora of products, from cooking ranges to fridges, laundry machines to patio furniture, for a fraction of the price that you'll find elsewhere. 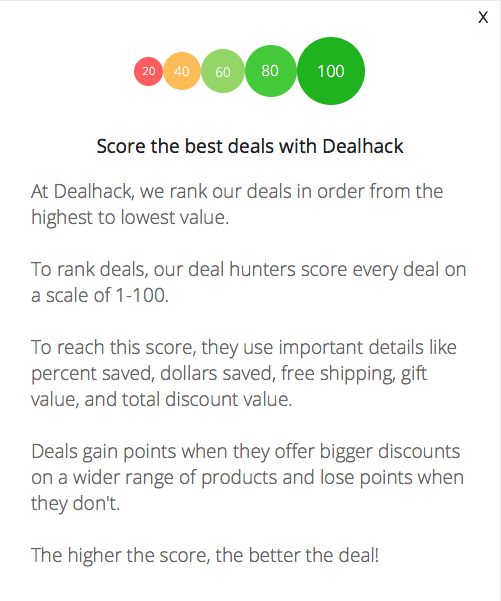 Why pay more when you can start your shopping adventure with Dealhack and save big? Continue reading below to find out what Appliances Connection can offer you. Contrary to its name, Appliances Connection doesn't only sell appliances. They offer products for every room of your home. In fact, on their website, you'll find more than 30,000 items for your kitchen, laundry room, fitness room, living room, and more. You’ll be the envy of all your friends with your beautifully furnished garden oasis. Enjoy those warm summer nights with an outdoor kitchen suite, fire pit, and comfortable patio furniture. You can also find products like plumbing supplies, home electronics, barbecues, and office furniture. Are you looking for commercial-grade appliances for a kitchen? From commercial dishwashers and cooking ranges to broilers to refrigerated display cases, you’ll find it all at Appliances Connection. Before you start shopping, make sure you browse through Dealhack’s incredible collection of deals and grab one of our Appliances Connection coupons. You can have everything you need for your home or business for less. If you want even more savings, check out the specials section on their website for great savings, builder packages, or free products with your purchase. With the exception of New York, Appliances Connection does not charge sales tax for deliveries to the United States. You can find Appliances Connection on social media. They're active on Facebook, Twitter, Pinterest, and Instagram. If you want to reach out to Appliances Connection with any questions, submit a ticket here or give them a call at 1-800-299-9470 to contact the customer service team. The company often runs sales and exclusive deals. If you sign up for their newsletter, you’ll get notice of the sales immediately. Looking for instant savings on appliance packages? Check the instant savings page. You can quickly search for furniture and appliances by browsing the categories on the site. If you purchase two or more qualifying products, you’ll receive a discount. Always check the rebate center for significant savings. You never know what brands you might find rebates for. What is Today’s Best Appliances Connection Promo Code? The best Appliances Connection promo code right now is SAVE750. This code is for 'Get $750 off Purchases Over $24999.99 on select Appliances'. Copy it and enter it on the Appliances Connection checkout page to use it. Appliances Connection offers free ground shipping to all its customers in the continental United States. For a small fee, you can order in-home white-glove delivery. Your order will be delivered to your curb or directly into your home or garage. Have a look at Appliances Connection shipping policy. If you are unhappy with your new purchase, the company stands behind its name with a 30-day, hassle-free return policy. So you can return your purchase for a full refund. To do so, your new items must be in new condition in the state it was received. You must also include all packaging with the blank warranty card as well as the UPC code. All items marked final sale or special order cannot be returned for a refund. For more information on Appliances Connection’s refund policy, click here.